Whether it is an important presentation at work, a school project, or just day to day tasks, focus and concentration are a crucial part of getting things done. 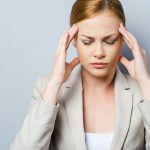 Being able to focus all of that mental energy in one place isn’t always easy, though, and many people turn to essential oils to aid in improving mental clarity and attention. Here are five essential oils for concentration that work wonders for getting the mind calm and laser focused. In a 2002 Japanese study, patchouli showed its ability to not only relax the brain and prepare it for focus, but also decrease sympathetic activity in the body (Haze, Sakai, & Gozu, 2002). Once the sympathetic nervous system is calmed, the mind has a chance to focus and stay attentive. Inhaling this essential oil in a stressful office environment can boost mental stamina and help a person feel more relaxed and in control throughout the workday. While lavender is often thought of as a way to soothe a person to sleep, this essential oil also has the ability to boost cognitive performance and concentration. 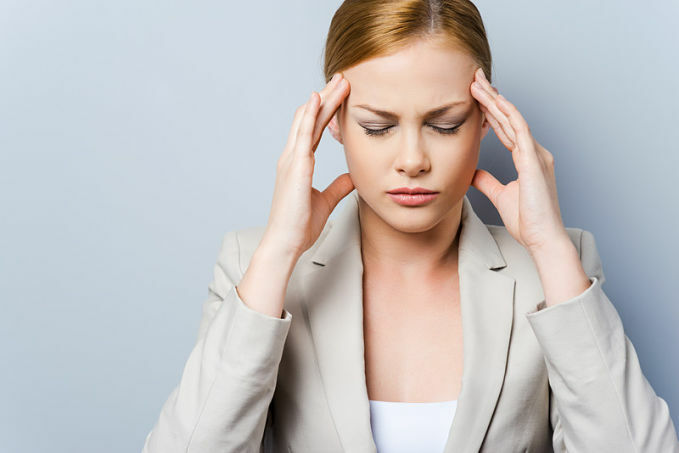 An anxious mind is often plagued with nervous, racing thoughts and is easily distracted. By calming the mind a person is better able to cope with tasks requiring concentration and focus. In one study, lavender was shown to have major benefits for students who needed to refocus on tasks after coming in from recess (Sakamoto, Minoura, Usui, Ishizuka, & Kanba, 2005). The bright smell of lemon is said to increase mental clarity, focus, and conscientiousness. Lemon essential oil has also been shown to increase happiness which could also lead to more focused thinking and fewer overwhelming thoughts (Sánchez-Vidaña, et. al., 2017). The next time you have to concentrate on that big project, put a few drops of lemon essential oil into a diffuser and boost your mind’s ability to focus on what’s important. In a 2005 research study at the Oregon Health and Science University, sage was shown to increase calmness and mental focus in Alzheimer’s patients (Oregon Health Science University, 2014). When taken internally, sage essential oil helped to soothe the patients’ minds while increasing alertness. The effects of sage, when used in aromatherapy, are equally beneficial and allow the person inhaling the oil to experience a sense of alertness and cognitive support. When used in aromatherapy applications, peppermint has the ability to perk up sluggish thinking, increase mental stamina, and allow a person to concentrate for extended periods of time (Warm, Dember, & Parasuraman, 1991). Since many people have jobs that require long periods of focus, peppermint is a great essential oil to use in a desktop aromatherapy diffuser so that it can be inhaled consistently during the day. Couple peppermint with ylang-ylang to give an extra boost to your cognitive performance and attentiveness. Now that you know what oils to use, how do you use them? The best way to implement these essential oils depends on your setting and the oil itself. Two of the best ways to apply essential oils topically are during a massage or by wearing the oils as perfume. For either of these methods, you’ll first need a carrier oil so that the pure essential oils do not irritate the skin. 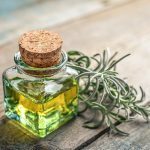 Add a few drops of essential oil to 1/4 cup of olive oil, almond oil, grapeseed oil, avocado oil, coconut oil, apricot seed oil, kukui nut oil, or jojoba oil and stir well. You now have a massage oil that has aromatherapeutic benefits. Feel free to explore other carrier oils and experiment with blending oils to get a custom experience. Just make sure to check for allergies before applying anything to the skin. If you are interested in a lotion or cream, just add a few drops of essential oil to a small amount of unscented lotion or cream, stir well, and apply to skin. If you would like a grab and go method of topical application, consider making a sprayable perfume by adding several drops of essential oil to a 10:90 mixture of purified water and vodka. Use about 30-40 drops per 1 ounce bottle (the best choice is a darkly colored bottle with a spray pump), shake everything together, and apply throughout the day. 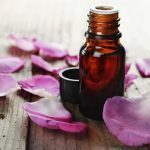 Breathing in these beneficial essential oils can be done with an electric diffuser, room mist, or non-electric diffusers such as reeds or a clay disk. Try placing a few different diffuser types in various areas of the home or office to give yourself focus no matter your location. If you have a bit more time on your hands, consider taking a steam bath with added essential oils. 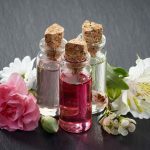 Mix about a tablespoon of essential oils (single scent or a blend) with approximately 1/4 cup of a carrier oil such as olive oil or jojoba oil, blend well and drizzle the mixture into a warm bath. As you soak in the tub, inhale the scents and by the time you get out of the tub, you will be ready to focus on even the most difficult of tasks. For a quick but effective technique, you can also put a few drops of an essential oil onto a cloth and inhale it throughout the day. Of the essential oils on this list, lemon, lavender, sage, and peppermint can be taken internally. Lemon and lavender are excellent in tea and taste as wonderful as they smell. Sage, when taken internally in capsule form, was shown to have a positive cognitive effect on Alzheimer’s patients (Oregon Health Science University, 2014) and provided them with calm, focused minds. It also makes an excellent tea and pairs well with bright, citrus flavors. Peppermint has only been proven to work for cognitive function when inhaled, so peppermint tea is more of an inhalation method than an ingestion method. Still, letting the peppermint infused steam waft into your nose as you sip your tea is a great way to add a little aromatherapy to your day. However you decide to make use of essential oils, they can play an important role in helping you focus, concentrate, and stay attentive as you work. Each technique can be used in so many ways that it makes adding essential oils to your routine very easy to do. Teas can be sipped at a desk or put into a travel mug for commuters who need to get prepared for the day ahead. Lotions can be used on the go or on a massage table. Incense may not be right for the office, but an inconspicuous diffuser in a desk corner works wonderfully for increasing attentiveness. Try adding a few different techniques to your routine and discover what works best for your mental clarity. Haze, S., Sakai, K., & Gozu, Y. (2002). Effects of fragrance inhalation on sympathetic activity in normal adults. Japan Journal of Pharmacology, 90(3), 247-253. Oregon Health and Science University. Effects of Sage on Memory and Mental Performance in Alzheimer’s Disease Patients. (2014, October 29).